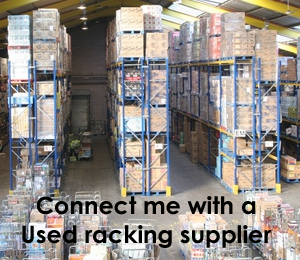 Often just referred to VNA or Very narrow aisle racking. Initially this covered fork trucks with rotating forks thus meaning that the truck does not have to turn within the aisle. 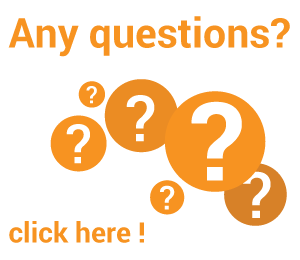 This can mean that an aisle can be as small as 1500mm when handling a conventional pallet. Originally the term very narrow aisle was used to distinguish this type of racking from narrow aisle which was originally the term given to reach truck applications. 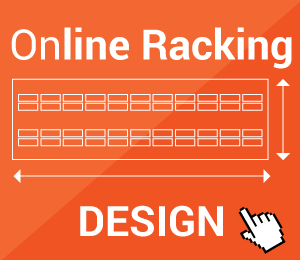 The racking in itself is the same basic components as that used in adjustable pallet racking. It is the same combination of frames and beams. They are just placed closer together. Traditionally there was two variations on the turret truck, the man down and the man up. The man up is where the drivers can rises in the air to the operation easier for the driver and also to allow picking from higher level pallets. The man down is more conventional with the driver staying on the ground. The trucks can be either free range or more commonly guided. The guided trucks allow for faster operations as it takes the stealing away from the driver. The trucks are guided by mechanical guide rails either normal ones which require a bottom beam to be installed in the pallet racking or low profile guide rails. More commonly wire guides are installed in the concrete floor. In more recent times a new type of truck has been developed that can operate in aisles similar to that of conventional VNA trucks. These are know generically as articulated trucks or often just referred to by the brands names of the two major manufacturers I.e Bendi or Flexi. What is a now becoming a more common solution is to mix the two types of trucks within one application. The warehouse floor must be of a high quality because any discrepancy in the look level will be magnified at higher levels and potentially having the truck hit the racking. 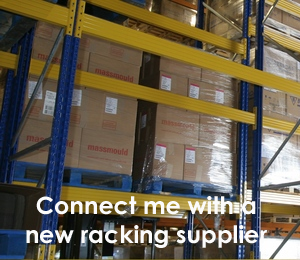 The trucks are also very large and need large transfer aisles therefore this type of pallet racking only tends to be of benefit when the raking runs are quite long.